The 701-A Pneumatic Chain Saw is built tough to stand up to everyday use in the harsh environment of concrete and utility pipe cutting. The unique versatility of a pneumatic powered chain saw includes the ability to make deep plunge cuts, perfect corners, a single cut from one side and an endless variety of irregular shapes. Cut with ease, speed and portability through reinforced concrete, brick, block, concrete pipe, ductile iron, cast iron, natural stone and more. 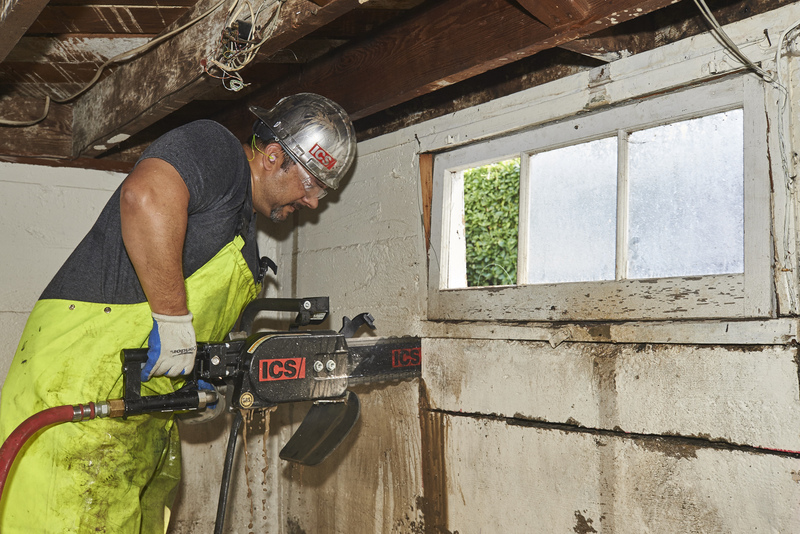 The ICS powerful pneumatic saw is designed to cut through walls, floors, pipe and columns in a single pass. Give us a call a 800-838-7377 or send us a request. Request a free demonstration at your location. There’s no obligation. Find out how Jim Cox Sales offers solutions that WORK! Permission to add email address to special offers newsletter? Yes or No.